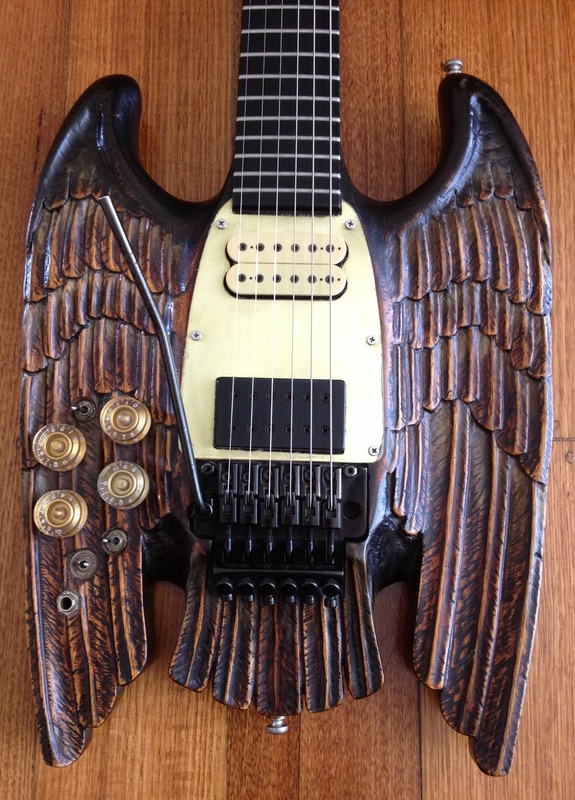 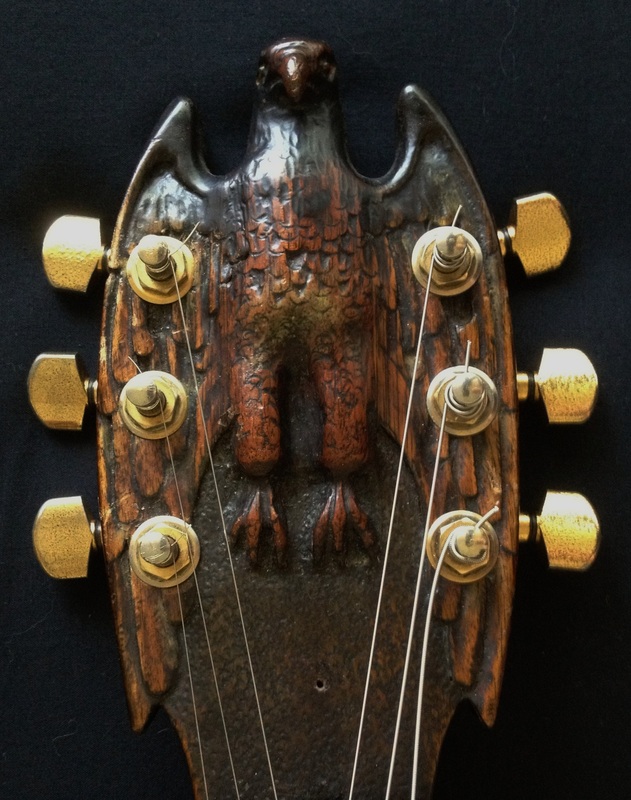 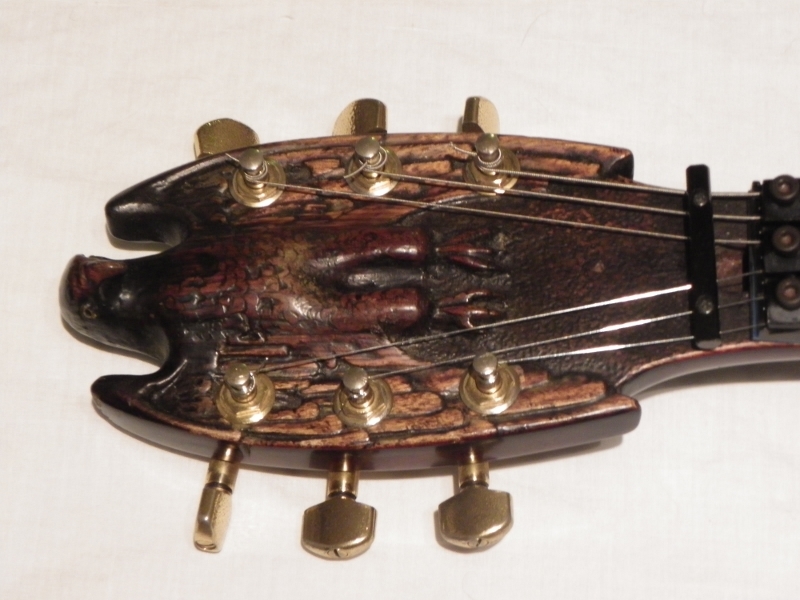 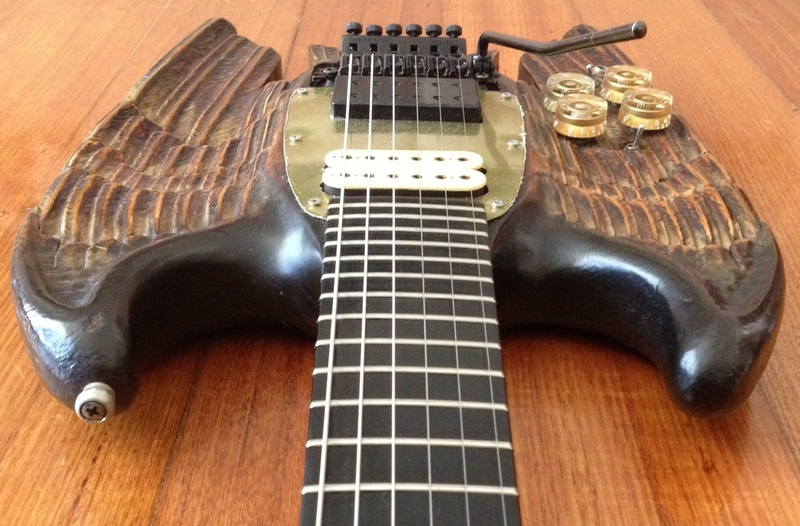 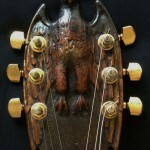 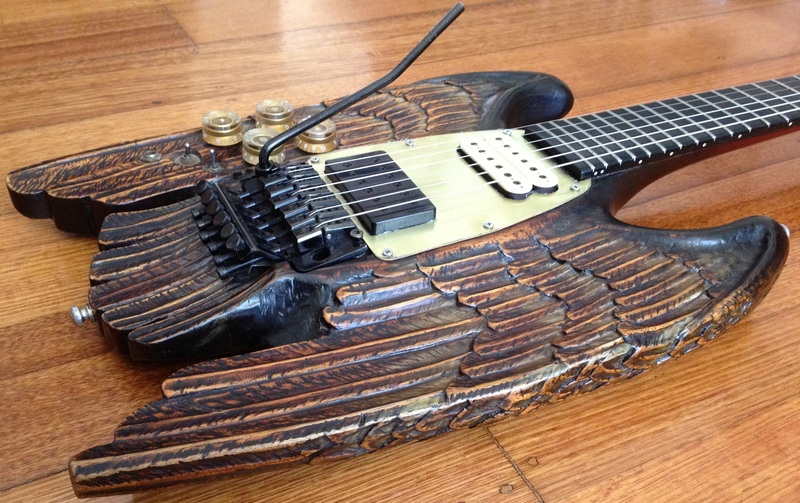 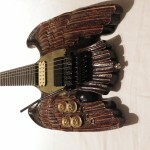 The design of the ‘Eagle’ guitar was a combination of ideas between Andy Volpe (a violin maker) and Glen. 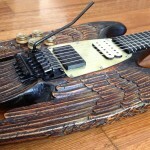 The project began in 1983 with Andy working on the guitar 3 days per week at his home (taking six months to complete). 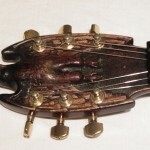 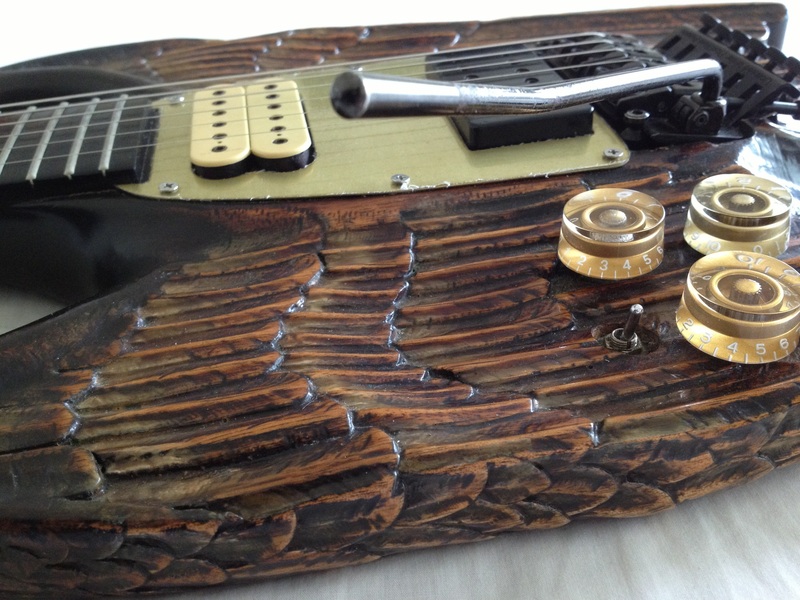 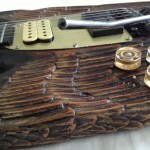 In 1993 the ‘Eagle’ was worked on by Merv Cargill – a renowned guitar technician/repairer. 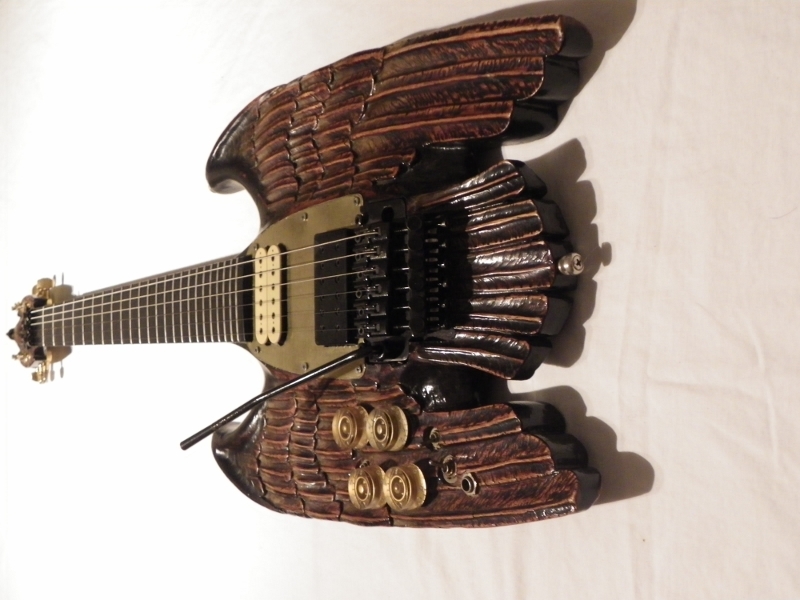 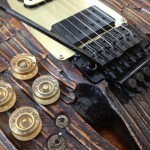 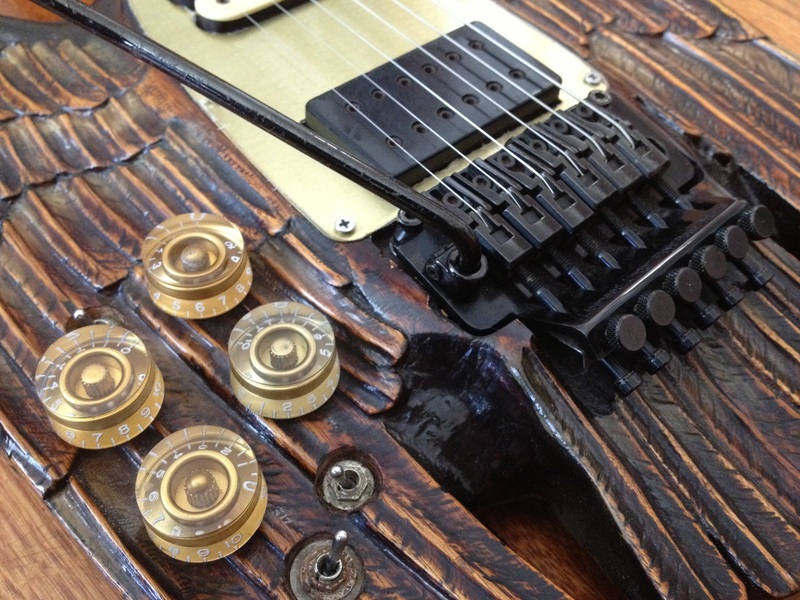 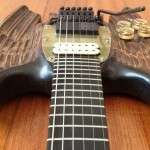 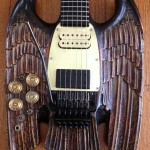 He further enhanced the ‘Eagle’ by crafting a twenty-four fret ebony fretboard and a Floyd Rose locking nut tremolo system…and this is how you see it today!